robot competition in Arizona this July. 16 I/O and 2K EEPROM. It’s simple but enough for this competition. a wall within a 2" range. 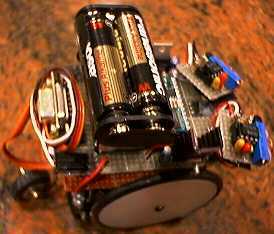 There are two servos for locomotion.